Current advances in the Artificial Intelligence domain are in successful propagation within an area of technology. These include the processes such as computer vision methods, speech recognition process, language processing and so on. World Congress on Chemistry and Drug Discovery 2019, Toronto purposes a view of the induced A.I process on the drug industry. Artificial Intelligence and Pharmaceutical Drugs. A. I have been constantly upgrading itself into areas of biology, chemistry, further improving the success rates and lowering the cost of drug delivery and developments. At the laboratories of Jianfeng Pei, current drug discovery in the field of Artificial Intelligence has been put forward with topics of “AI for drug discovery and development”. 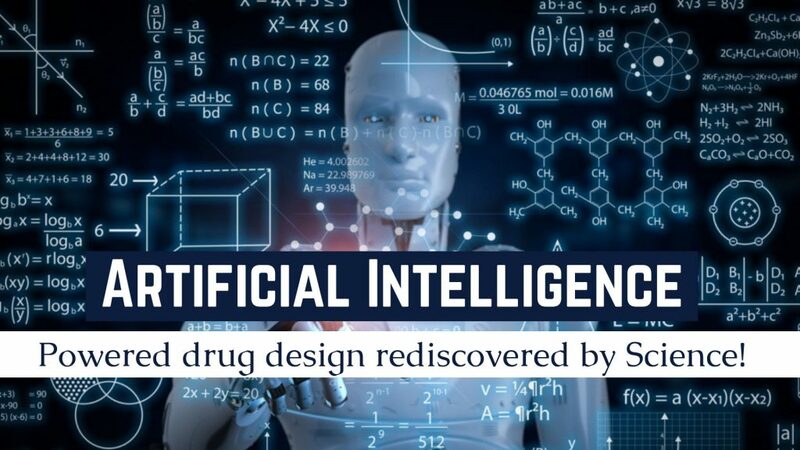 This research topic properly highlights the recent advances of further advancements in the AI for the drug and developments. Currently, pharmaceutical domains have improved the process with a variety of pharmaceutical Research and development techniques. The integrity of Artificial Intelligence is perceiving into life sciences which is further resulting in a wave full of academic publications. A number of startups have thus seen developing a wide variety of strategies, including pursuing the business models in developing pharmaceutical researches. Currently, the pharmaceutical industry has also been strengthening in the capabilities with centralizing amends of data sources which are segregated. This further gets onto hiring data scientists with investing in a large set of infrastructures. This has curated A. I in the pharmaceutical industry and put forward a distinct vision of early-stage discoveries in innovative medicines, research, and development. These processes are expected to enable a lot of industry domain inventions of early-stage discovery and innovative medicines. This will further reach out to people globally. Currently, China has been expected to become a major influencer in the pharmaceutical industry. Trade wars are evident in the current situations and they can have an impact on the field. Diseases like Cancer, Alzheimer’s aren’t affected by nation wise concerns. Unless there has been a clear set in the curing effects, the trade war of biotechnology domain is prevalent to that of war. Ordinarily, the advancement in the bio medicines requires major collaborations internationally, with varied diversity and initiatives. The World Congress on Chemistry and Drug Discovery to be held on Toronto, Canada focuses an array of scientist, professors, chemistry subject experts, drug chemists, pharmaceutical engineers, research fellows, pharmaceutical engineers, research fellows, scientific communities, and so on. The event will portray a variety of ideas on the designated field dealing of A.I in the field of drugs. Additionally, the discussions include the ongoing research expertise in various fields of chemistry, drug designing, drug synthesis and engender. Previous Previous post: Scaling Food metabolic, are they propitious?